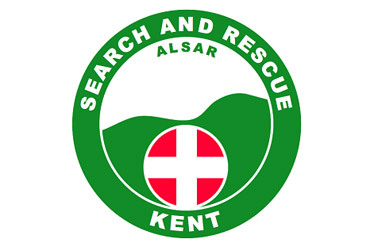 KSAR is a registered charity that provides teams of qualified search technicians to search for vulnerable missing persons such as children and elderly people. We provide this valuable service to Kent Police and other emergency services and local councils throughout Kent, and the rest of the UK if called upon. The unit is manned by highly trained volunteers and is operational 24/7/365. We are activated at the request of Kent Police and other emergency organisations by a telephone call to our duty officer, who will in turn activate the members by using an SMS response system. We are called upon to search for vulnerable missing persons, people who under normal circumstances may not be able to look after themselves; this includes children, elderly people with dementia / alzheimers or people with learning disabilities. We also get a number of calls to search for people who are depressed or suicidal. We provide a search control, qualified search manager and search teams. Upon finding the person we provide immediate medical care as required. Sometimes we may be too late and would be required to preserve the area as a possible crime scene. Operational search members need to be 18yrs old or above and befit enough to carry out the duties of a search team member. People who enjoy long walks, cycling and swimming would be ideal. Age is not a barrier to joining. We also need support members to help with activities such as publicity, fund raising and logistic support. 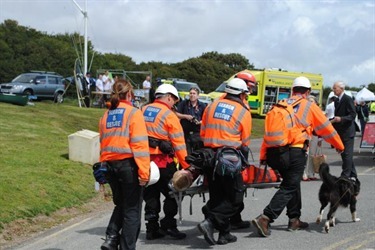 We provide the opportunity to learn valuable new skills including emergency first aid, navigation, team leading, search related skills. KSAR is funded totally by donations and fundraising. All members give up their time for free, meaning that 1009b of all money raised goes towards vital equipment and operational costs. If you are able to help us with funding or donations contact us at fundraising@ksar.co.uk.